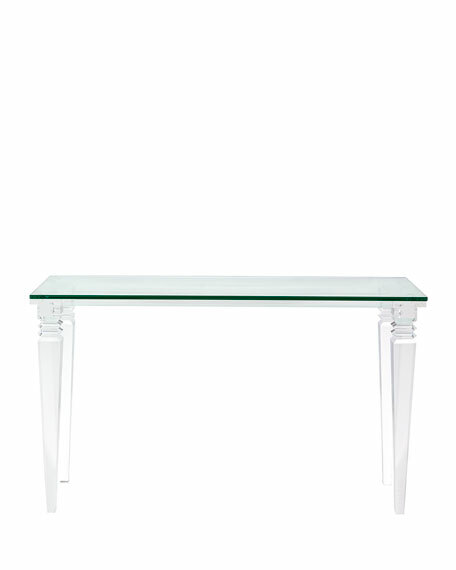 Classical lines giving a fresh update when they're realized fabulously in acrylic and glass. Acrylic legs and glass top. 52"W x 16"D x 30"T.